The euphoria generated by the visits of the Queen and President Obama has now worn off. We were on a high here for a while and it certainly was a welcome break from the depression that has pervaded the country for the past year or more. But last week it was back to reality with a bang. And boy, that reality sure is grim. Last week the latest figures for unemployment showed that the number out of work is going up, not down; it's now at 14.8%, up from 13.2% a year ago. Also last week we learned that the interest payments on our huge debt burden are now eating up HALF of all the income tax raised in the state. And of course the debt is still growing at a dizzying rate because the state is still spending tens of millions every day we don't have. In fact a government minister here let it slip last week that we might need a second bailout from the EU-IMF, like Greece, which will add even more to the mountain of debt that is crushing our economy. All told, it's a pretty grim picture. On top of that last week, government ministers were also talking about a water charge and a household charge, both of which we are committed to introducing under the terms of last year's IMF-EU bailout. And in case you're thinking that a household charge is probably some kind of payment to have the garbage bin emptied, it's not (we already pay separately for that). It's actually a polite way of saying property tax. So property tax is coming back, probably at a low level to start. But you can be sure it will soar in the coming years. Since most of our income tax will be going to pay the interest on the national debt, they have to get money from somewhere. Another sacred cow was led to the slaughterhouse here last week when the Minister for Education Ruairi Quinn admitted that college fees are on the way back. So much for equal access to college for everyone with ability, no matter what your parents earn. Again, you can be sure college fees will climb quickly in the years ahead. So last week, after all the pomp of the royal visit and the feel-good factor generated by President Obama, the hole in the ground opened up under us again, giving everyone here that sinking feeling once more. As I said, it was back to reality with a bang. This country is so broke everyone here is going to swamped in extra taxes and extra charges until we are squeezed dry. For the million and a half people who have a job it's tough enough. Many of them are already struggling to pay big mortgages, school fees, car payments and all the rest of the good life stuff that became normal during the boom years. But for the nearly half a million who don't have a job, it's a struggle to keep the roof over their heads and food on the table. For those out of work and in negative equity, it's a nightmare. All of which, in retrospect, makes that Obama speech at the huge event at College Green in Dublin look more idiotic than inspiring. All that Yes We Can, Is Feidir Linn stuff is patronizing and insulting rather than useful. It implies that we don't understand the scale of what lies ahead of us and that positive thinking is going to be enough to get us through it. Well, I'm sorry, but a more appropriate and certainly a more honest rallying cry for us at the moment would be No We Can't. By loading the enormous bank debt on top of our state fiscal debt, the government and our EU-IMF "partners" have weighed down the Irish economy and Irish taxpayers with a burden so great that we simply can't carry it. It's too much. It's beyond our capacity. The debt is already up around €125 billion, and it's predicted that it will top out at around €250 billion before we start coming down the other side of the debt mountain. Bear in mind what I said above about half of our income tax take already being eaten up by interest payments and you get an idea of where we're headed. And of course, there's the bigger question of the morality of Ireland borrowing all this money to pay back the bondholders and European banks who gambled on the Irish boom ... and then forcing the Irish people to pay for this with huge tax hikes and state spending cuts. One could argue about the morality question. But it's irrelevant because it's no longer a question of whether we should pay. The fact is we can't pay, not even if we turn this country into a Third World economy with Third World services and pay levels. So the truth is that No We Can't pay. And even if we could pay, we shouldn't pay unless there is large scale burden sharing or debt forgiveness by the European banks who took the risk and now don't want to share the pain. The first step in Ireland breaking the EU-IMF stranglehold is us being able to go back into the financial markets again. At present the markets won't lend to us except at prohibitive rates over 10%. To change their minds we have to get our spending down, get our budget back on track, and get some realistic burden sharing into our debt interest problem. run out. But there's no sign of that being possible. That's what the Minister for Transport Leo Varadkar said here last week. He's a young minister with a tendency to tell it like it is. "It is very unlikely that we'll be able to go back (to the markets) next year. I think it might be a bit longer", Varadkar said. "2013 is possible, but who knows?" 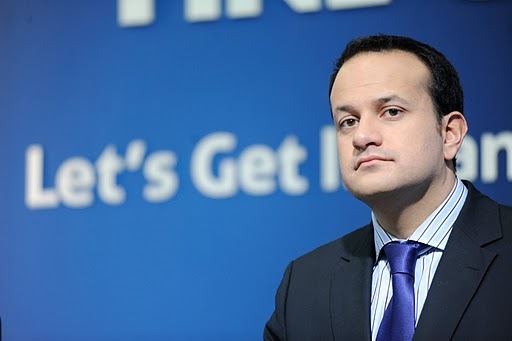 There was consternation in government circles when Varadkar let the cat out of the bag. However, the fact is that if we can't get money from the markets in a couple of years, we WILL need a second bailout. But that's not the government message. Taoiseach (Prime Minister) Enda Kenny and his senior ministers are sticking to the script that Ireland won't default and that we will be welcomed back into the financial markets next year. But more and more they're whistling past the graveyard. And to make matters worse, they're paralyzed by fear and indecision, so that even starting the process of getting state spending under control seems to be beyond them. There has been quite a bit of criticism here of that Obama speech in the past week (some of which is on IrishCentral.com), and it's not just for the way it blithely glossed over the economic nightmare that faces us. A lot more of it was so folksy and trite that it was insulting, even if the emotion carried the crowd on the day. You can find the full text here. In particular, the attempt in the speech to align the struggle for the end of slavery in the U.S. with the fight for Irish freedom over the centuries is far too simplistic. The Irish were as racist as anyone else, as we all know. And the stuff about how much the Irish have done for America is true ... but as we all know it's only a part of the American story and ignores the contributions of those who came from other countries which were equally important. Of course the crowd at College Green lapped it up. We all like to be told we're wonderful and special and therefore that we can meet any challenge in the future. But is it really what we needed to hear from the president at this critical time in our history? "This little country that inspires the biggest things, your best days are still ahead. Our greatest triumphs, in America and Ireland alike, are still to come,” he said. “And Ireland, if anyone ever says otherwise, if anybody ever tells you that your problems are too big, or your challenges are too great, that we can’t do something, that we shouldn’t even try, think about all we’ve done together. Think about whatever hardships the winter may bring, spring-time’s always just around the corner." This was the build-up near the end of the speech to Obama's translation of Yes We Can into Is Feidir Linn. It's blarney, of course, more Hollywood than Moneygall. And there were other references in the speech, like the one to "fallow fields," which just didn't ring true either. Here's a bit of free advice for the president. The next time you're doing a big speech here, get your speechwriters to run it by me, or Niall O'Dowd or someone who knows what it's like here first. And less of the blarney would be good. Maybe the Guinness went to his head!